Sphero BB-8 : The coolest toy ever! 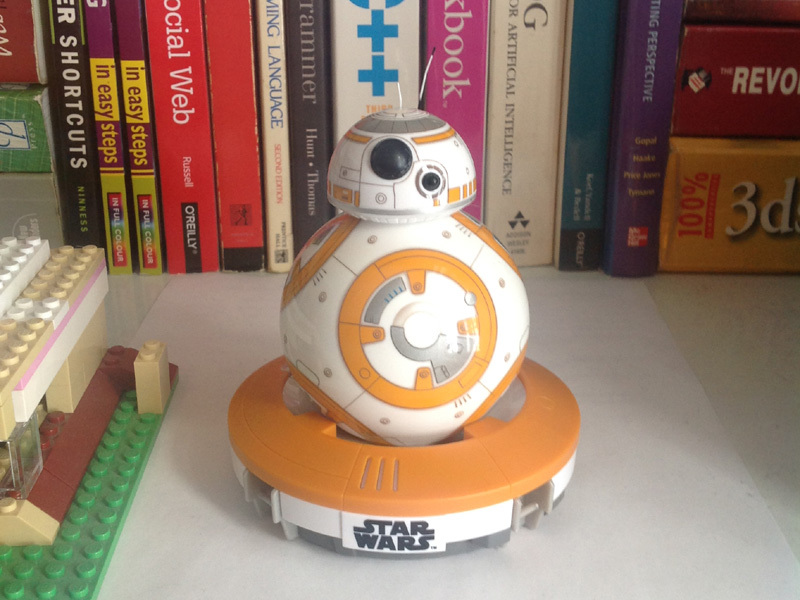 Meet BB-8, or rather, meet the new sphero app-enabled / connected toy: BB-8 ! The sphero app-enabled, Tickle-programmable droid: BB-8, the coolest toy ever? This has got to be one of the coolest toys ever. When I was a kid, there wasn’t even a possibility of receiving such a thing under the Christmas tree…the times they are a changing! After un-boxing our new BB-8 droid, I was pleased to note that there was zero configuration or assembly required. I simply popped him out of his box, set him down by the nearest cat, and let the fun begin! Driving using the iOS / Android app was a bit confusing at first, but only took a little getting used to. The blue-light orientation wasn’t in fact necessary per-se, as BB-8’s head actually faces his “front” when you adjust his orientation. As well, there is a cool initiative started by some pretty awesome builders: The BB-8 builders club. Its a community-based, open-source type collaborative initiative intended to help those who aspire to build a 1:1 BB-8 of their own! Just getting started with BB-8, but will post as things progress I hope. In the meantime, may the hacker-bug be with you!